Place the shredded “Angel Hair” cabbage on a salad plate. 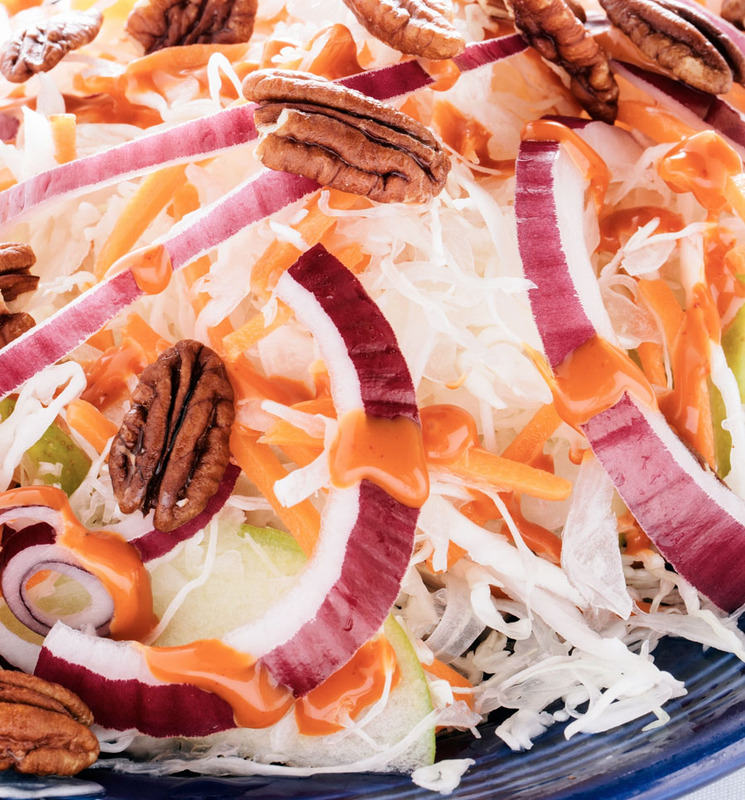 Then add the carrots, apples, onions, and lightly sprinkle the cayenne pepper over the salad and then pour the John’s Famous® Slaw Dressing on top. Add the pecans and salt & pepper to taste. Enjoy!